Six people are on a bus in a snow storm. The bus stops for a few hours. The people on the bus pass the time by telling each other stories. 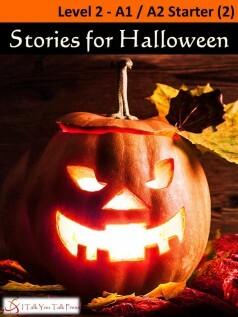 It is Halloween, so the stories are about strange and mysterious events. Get ready to be scared as you read about deaths in Romania; the strange case of the little boy who came to play and then disappeared; the ghost in the library; the terrifying pumpkin; the mysterious flowers on the stairs; and what the bus driver saw. Each person has a different story to tell but in some ways they are all the same – interesting, scary and perfect for Halloween!